BOUGAINVILLE President John Momis is furious at Rio Tinto’s "unilateral" decision to transfer its 53.8 per cent stake in Bougainville Copper Ltd to an independent trustee and involving Waigani as an equal majority shareholder. The trustee Equity Trustees Limited will distribute the shares between the National Government and the Autonomous Bougainville Government so that both will have 36.4 per cent shares each in the Panguna mine. The National Government already has a 19 per cent stake. The remaining shares are held by small shareholders in Europe. PRESIDENT Momis said yesterday that Rio Tinto had failed to consult his Government about distributing its shares. "At meetings with senior Rio officials, in July 2015 and February 2016, I warned strongly against transfer of Rio’s shares to PNG. Bougainvilleans cannot accept National Government control over the future of Panguna through either majority or equal shareholding in BCL," he added. 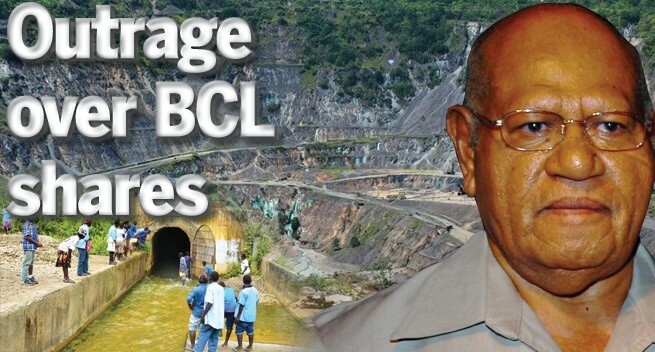 He said Bougainville is open to PNG remaining a BCL shareholder, saying it could assist in finding responsible partners and financiers for possible future operations at Panguna. "But we cannot accept Rio Tinto’s interference in seeking to give PNG equal control over Panguna. There is no possibility of progress on resolving the future of Panguna on that basis. "Rio Tinto has shown arrogance and ignorance in ignoring my warning. Sitting in their comfortable London offices, they have interfered in Bougainville’s affairs by deciding PNG should have equal control of BCL. "Bougainvilleans are united in rejecting what Rio Tinto seeks to thrust upon us." He said he would be seeking "the earliest possible meeting with Prime Minister O’Neill to discuss how best to defuse the dangerous situation created by Rio’s decision on its shares in BCL."